The role of graphic designers is shifting. No longer seen solely as the producers of aesthetic “things”, graphic designers are being valued for their problem-solving skills and ability to help businesses strategize. 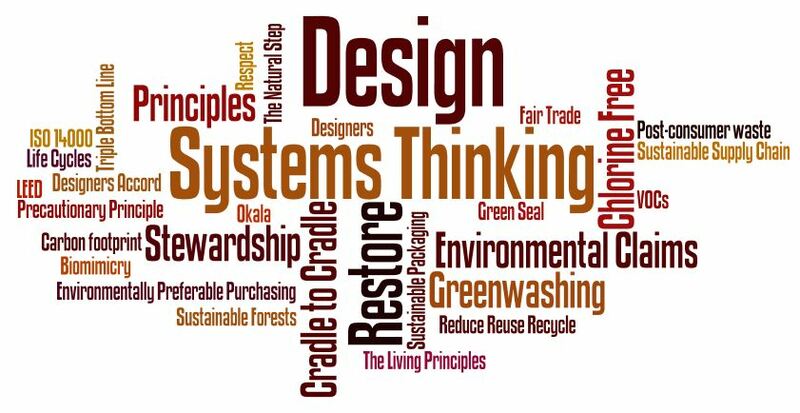 At the same time, both designers and the clients they serve are increasingly expected to consider issues of sustainability and take responsibility for the impacts of the products and systems they create. However, most graphic designers have had no formal training in sustainable design thinking and methodologies. As graphic designers face this paradigm shift, what sustainable design roles are emerging in the marketplace, and how do we prepare designers to make this transition? These are the questions Amy Dritz, graphic designer and graduate student in MCAD’s Sustainable Design program, is seeking to answer with her thesis project. As part of this research, she is gathering information from practicing graphic designers through surveys and interviews to gather their unique perspectives on sustainability in design and business. The goal of this research project is to help graphic design educators and professional design leaders in identifying and closing the gap between current graphic design competencies and the future demands of business and sustainability. If you are a designer in a graphics or communications-related field and have a desire to design more sustainably, please click here to take a survey to help with this research (survey now closed). (Please allow yourself 15-20 minutes to complete the survey – you may complete over multiple sessions.) The survey will be open now through the end of September 2014. 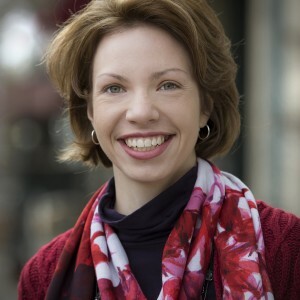 Amy is a creative professional who advocates for deeper design thinking. She has a natural curiosity about the world and how things work, and tries to understand any problem from multiple viewpoints. She is cofounder and design partner at Humbleweed Creative, helping eco-minded organizations to stand out and connect with their audiences through creative communications and design. Before joining Humbleweed Creative, she worked for many years in the public sector using her visual design and communication skills to engage people in activities and lifestyle choices that she feels passionate about: green spaces, nature conservancy, sustainable transportation, and healthy, livable communities. Amy has been an advocate for sustainability in the workplace, her community, and the profession of graphic design. She has served as Associate Director of Sustainable Design for AIGA Minnesota, and Chair of the 2013 AIGA (Re)Design Awards. She also coauthored Ecosketchbook: Design for Sustainability (2017). Amy graduated from MCAD with a MA in Sustainable Design in 2014. Amy is based in Minnesota.